Intuit® currently helps more than 1.3 million businesses process payroll and file taxes annually, so what could Intuit add to its payroll platforms that would make everyone take notice? How about Direct Deposit for independent contractors? This has been a high priority feature many accountants have been asking for – and now, QuickBooks® Payroll (QBO Payroll) is bringing it to you and your clients! 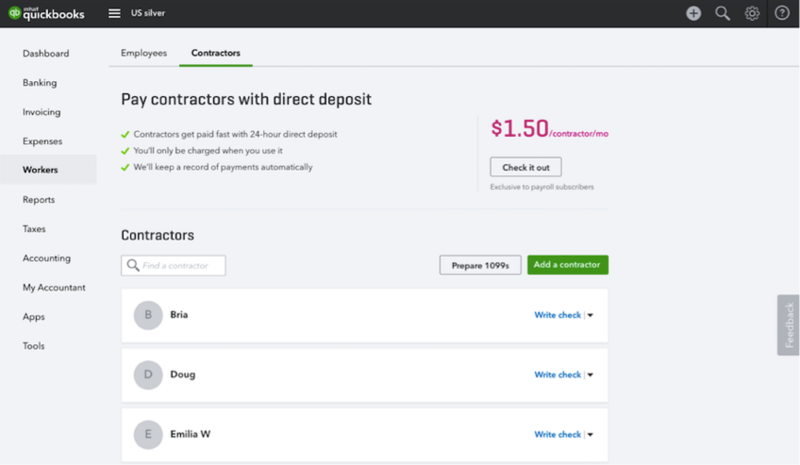 In addition to helping businesses with employees run payroll more efficiently, QuickBooks payroll now supports businesses that want to pay independent contractors. By choosing a QuickBooks payroll solution, you can feel confident that your clients are easily able to pay your entire workforce. Clients can now provide a worry-free payday to their workforce, including employees and contractors. QuickBooks Payroll allows them to pay everyone by direct deposit and handles all accounting and payroll details. By selecting “Contractors,” you can add in their banking information and initiate payment within QuickBooks the same as if you would for employees. This accurately records the payments to your books at the same time you are sending the money to your contractors. QuickBooks saves you a ton of time – and headaches – by ensuring your contractors are paid on time and accurately. Because each payment record is up to date in QuickBooks, when time rolls around and you need to file your 1099-MISCs, you’ll have your payment records at your fingertips to make preparing and filing these forms a breeze. Thirty percent of U.S. small businesses using QuickBooks Online pay at least one contractor annually. Independent contractors have a lot of advantages for small businesses — including flexibility and lower costs — and, as a result, more small businesses are hiring contractors. But, while independent contractors might save you money in the long run, getting them paid can be a very manual process, and figuring out tax forms like 1099-MISCs can be tedious. “It really simplifies my operations and bookkeeping," says Leah Welsh, owner of Strategic Accounting Solutions, LLC. "With checks, I have to worry about when each contractor will cash the check and I have to check the account to make sure I always have enough in there. With direct deposit, I always know when the money is coming out and how much I need to have in my bank account. And, I don’t worry about when I need to give my contractors their checks; I can send them direct deposit payments from anywhere. QuickBooks Contractor Direct Deposit also cuts down on the back-and-forth clients have with their contractors. No more back and forth printing checks, and figuring out how to the get the payment to their contractor. QBO Payroll now lets your clients do your payroll right for all their workers, including W2 employees and independent 1099 contractors. Try it today! 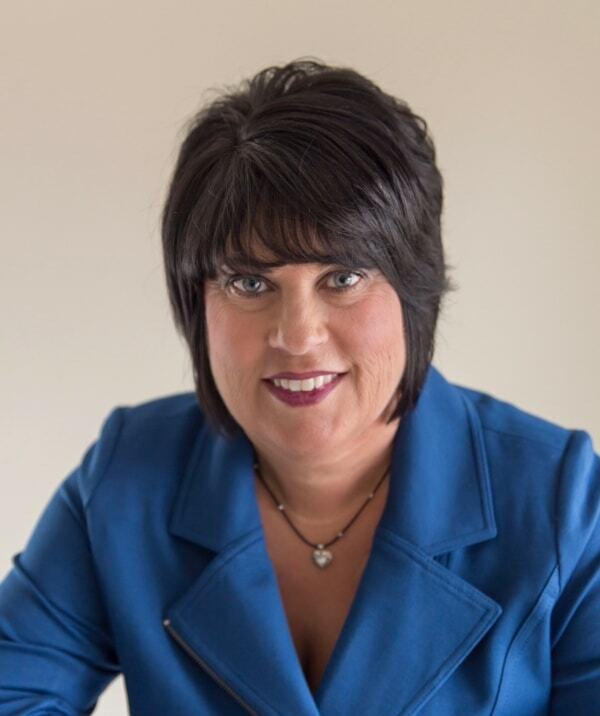 Beverly Lang offers more than 20 years of experience assisting business owners, managers and bookkeepers with their accounting and bookkeeping, as well as teaching bookkeeping, accounting and QuickBooks® classes, webinars, and seminars throughout the southeastern region of the United States. A former corporate controller, Beverly founded Diversified Business Solutions in 2008. Diversified Business Solutions has performed numerous client engagements nationwide spanning several industries. Beverly was recognized in 2016 and 2017 by Insightful Accountant as a Top 100 ProAdvisor®.